At Scarborough Village Physio & Chiro, we take an interdisciplinary team approach to patient care, in which the patient and family are the first and most important part of the team. Along with the patient, the doctors and multiple therapists work together as one to set goals and monitor progress for the best recovery. Rajalakshmi (Raji) has been a practising Physiotherapist for more than 15 years in various clinical settings. Raji is a Certified Fascial Cupping Therapist, Therapeutic Taping Therapist & Myofascial Release Therapist. She has specialized training in Advanced Vestibular Rehabilitation and Pelvic Floor Rehabilitation. 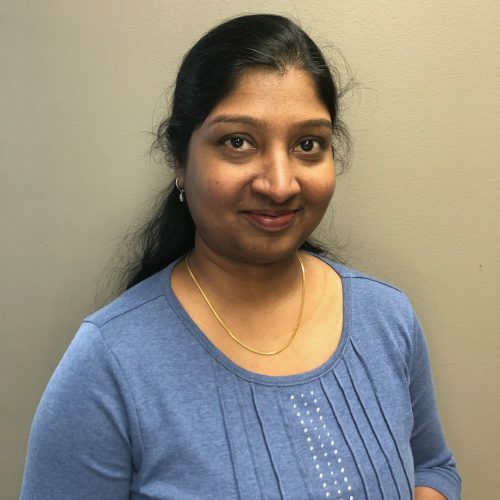 Raji has developed a special interest in Pelvic Health, especially women’s health and has done extensive training in this field. This training enables her to treat patients with various kinds of Urinary Incontinence, Pelvic floor dysfunctions, Prolapses, Acute and persistent pelvic pain syndromes, Pregnancy related conditions, Pelvic girdle dysfunctions, post -surgical and post-partum pelvic floor muscle weakness. 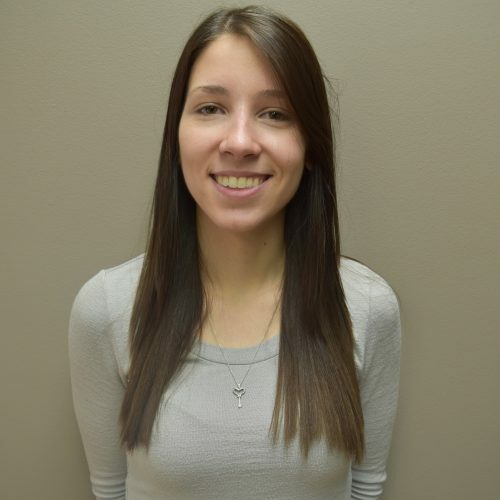 She employs a combination of soft tissue techniques, manual therapy, education and personalized exercise prescription in order to provide her patients with the best treatment experience. Kritika has a wide range of knowledge her studies started in India at Guru Nanak Dev University where so obtained her Bachelor of Physiotherapy. Following her schooling she treated for over 6 years working with orthopedic surgeons, and at Multi Speciality hospitals. During her time she specialized in ICU post op rehab and working with special needs children with varying conditions. 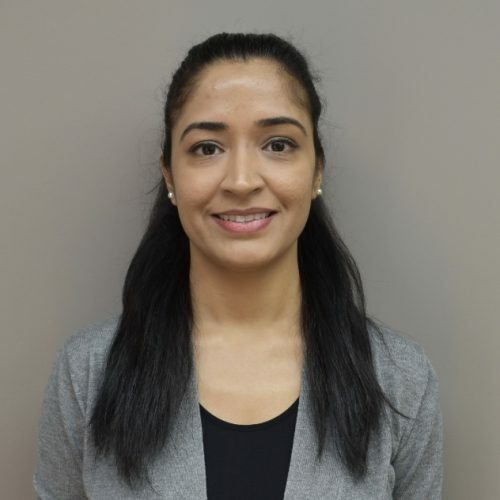 Since moving to Canada she has worked for over a year in multidisciplinary clinics and now joining us here at Scarborough Village Physio & Chiro! A fun fact about her is she is an gym lover who enjoys spending time working on her fitness! Dr. Grace Kim obtained her Honours Bachelor of Science degree from the University of Toronto and Doctor of Chiropractic from the Canadian Memorial Chiropractic College. Dr. Kim is certified in Webster Technique through ICPA, and is a clinical Acupuncture provider, where she received her training from McMaster University. Dr. Sheth obtained his Doctor of Chiropractic degree from the Canadian Memorial Chiropractic College and holds a Bachelor of Science (Specialized Honours) degree from York University. Dr. Sheth is a Clinical Acupuncture provider and a Shift Certified Concussion Management Practitioner. He is trained in soft tissue therapies such as myofascial release therapy and Graston Technique. 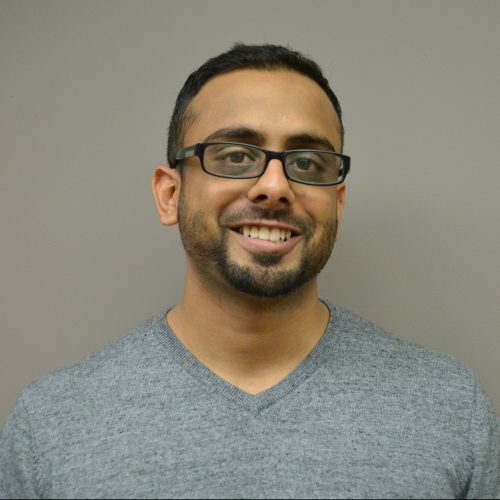 He has also lectured first and second year Anatomy and first year Physiology at the Royal Canadian College of Massage Therapy, and currently lectures at Seneca College. Upper and lower back pain. John is passionate about helping people move, feel and function better. He treats a variety of ages with acute and chronic musculoskeletal issues to stress-related conditions. He is driven by finding out the cause of a patient’s pain through movement, postural analysis and orthopedic assessments and then creates individualized treatments incorporating a range of modalities. These techniques include Myofascial Release, Trigger Point Therapy, Soft Tissue Therapy, Joint Mobilizations, manual therapy and remedial exercises. To expand his knowledge and help patients achieve their goals, John continues to advance his education by taking courses such as Applied Functional Science, Instrument Assisted Soft Tissue Mobilizations (e.g. edge tool & cupping). He is also a sports massage therapist certified candidate with the Canadian Sports Massage Therapy Association. Emerito studied Massage Therapy at the Canadian College of Massage and Hydrotherapy (CCMH). 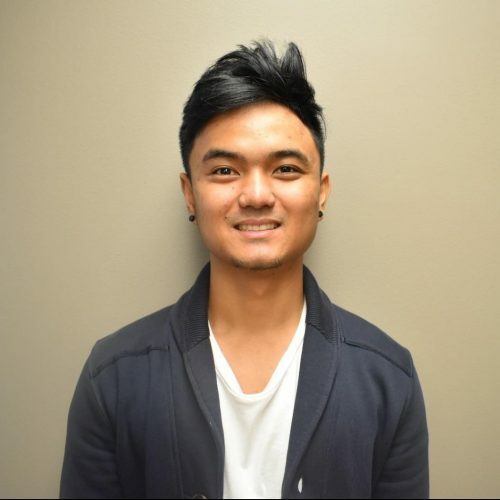 He completed his training at the Acute and Chronic Unit and Continuing Care Complex of the Toronto Rehab where his hospital placement played an essential role in his career as a Massage Therapist. 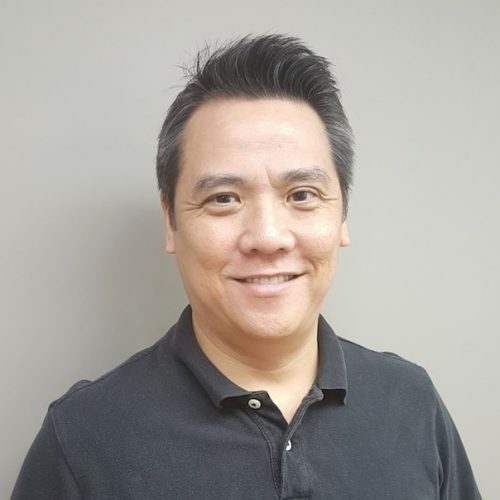 He holds certifications in Hot Stone Therapy, Deep Tissue Massage and Advance Sports Massage with the Canadian Sports Massage Therapist Association (CSMTA). 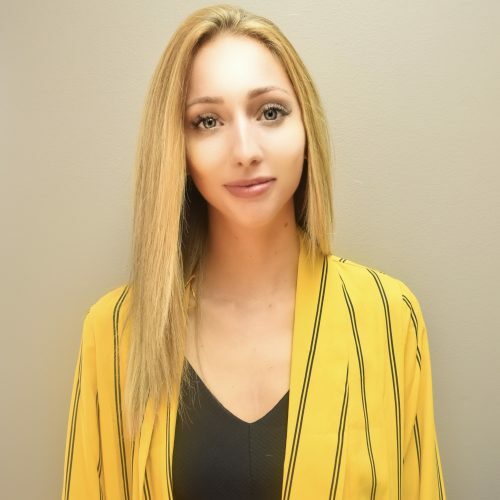 Rhodina graduated from the Royal Canadian College of Massage Therapy as a registered massage therapist and a member of the College of Massage Therapists of Ontario. 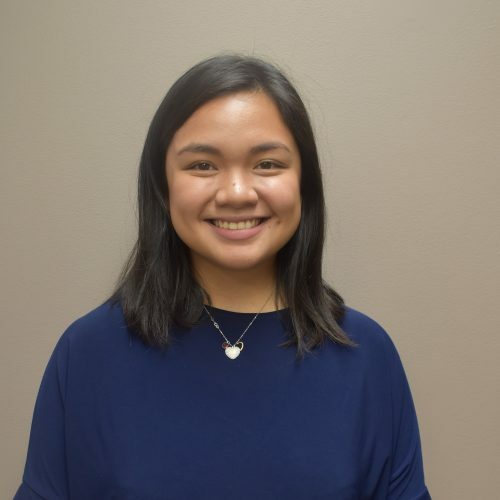 She recently completed her certification in Hot Stone Therapy, and in addition to being an RMT, Rhodina also holds a Bachelor of Science in Physiotherapy from the Philippines. Graduating from the Chinese College of Traditional Medicine and Pharmacology Canada with her TCM Doctor Diploma and Acupuncture diploma. As well, the Canadian College of Massage and Hydrotherapy with her diploma in Massage Therapy and Hydrotherapy and finally, Reflexology Association of Canada with her certificate in foot reflexology; Wendy brings an exceptional range of knowledge into the clinic. Wendy will be joining our team as Scarborough Villages first TCM Acupuncturist. Having worked in the field for many years, she brings a solid understanding to her clients about Traditional Chinese Medicine. This ranges from traditional acupuncture, cupping and prescribing natural herbs that will assist with treatment. Dr. Kim Abog is a Naturopathic Doctor (ND) based in Toronto, Ontario. She has been trained to see a variety of acute and chronic health conditions at the Canadian College of Naturopathic Medicine, the Robert Schad Naturopathic Clinic, and the Parkdale Queen West Community Health Centre (formerly Central Toronto Community Health Centre) in Toronto. She unfalteringly provides a patient-centred approach for every case she deals with. Dr. Kim strongly believes in the role of the doctor to educate and provide patients with the right tools for better health and not just superficially treat the symptoms. She is dedicated to helping people realize the incredible capacity of the body to heal especially when nurtured with: good nutrition, movement, ample medical (conventional and naturopathic) care, conscious health choices, and love and human connection. Reproductive health, Mental health, Cardiovascular health, and Digestive health conditions. Chloe has a wealth of experience in the field of medical clinic management. Having worked as a clinic administrator and manager for many years, she brings organization, knowledge, and protocol with her to Scarborough Village Physio & Chiro. 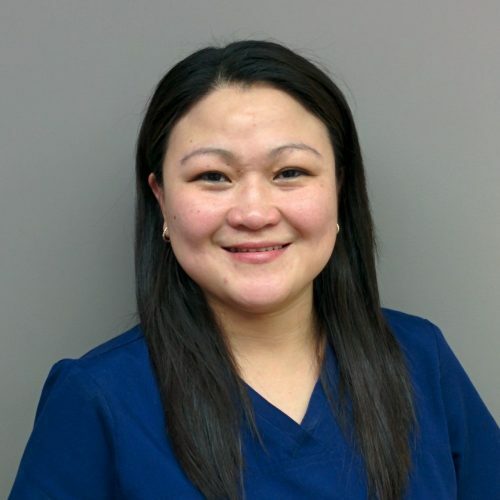 She has genuine care for both the patients and the clinic overall, bringing a sense of connection, communication, and ease. 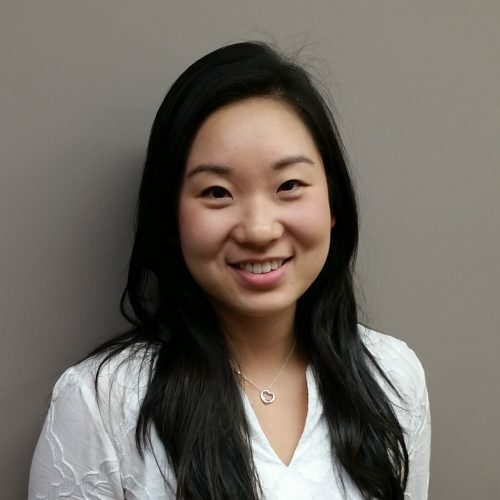 Natasha is the newest member of the Scarborough Village Physio & Chiro team. With her friendly smile, compassionate nature and willingness to go the extra mile, Natasha will help make your experience here remarkable! Miranda has a passion for customer care and an eye for detail. She is the positive and uplifting warm welcome our patients deserve as they enter our clinic! With her previous work in the non-profit field, her caring nature is an asset to the clinic and to our patients.